Black Manjushri (Tib. འཇམ་དབྱངས་ནག་པོ་, jamyang nakpo, Wyl. 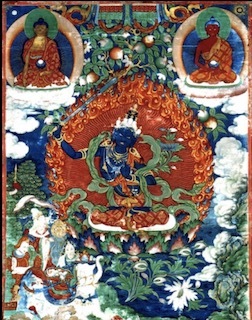 ‘jam dbyangs nag po) is a wrathful healing form of Manjushri used to remove inner and outer obstacles. This page was last edited on 29 May 2018, at 22:14.